There are three models to choose from depending on the application requirement and the budget available. 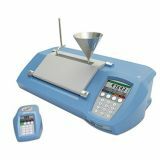 The entry level instrument is the RFM712, which is especially suited for use in fruit processing plants such as in the wine, tomato and sugar industry, whilst the RFM742 is a 2-decimal place instrument ideal for use in beverage plants. Whichever model you choose, the RFM700-M Series features robust construction, a sapphire prism mounted in an easy clean stainless steel dish and an outer casing that is sealed and shaped to withstand sample spillage and moisture ingress. This together with the external power supply makes the RFM700-M ideal for use in a harsh factory environment or busy laboratory. The bright 4" high definition display is easily visible in dim or bright lighting conditions and can be switched between our new full colour "M-Model" display or "Classic Red". 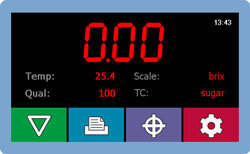 Each variation includes scale and temperature compensation indicators, sample quality number that helps eliminate erroneous readings when difficult samples are being measured and a simple graphic user interface (GUI). 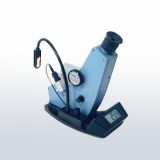 Commonly, the RFM700-M series refractometers are supplied to operate in the °Brix scale with results temperature compensated to 20°C in accordance with ICUMSA. 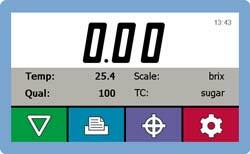 Additional user scales provide measurement in different formats such as various wine, Refractive Index (RI) & FSII as well as allowing custom scales to be loaded in accordance with product data. 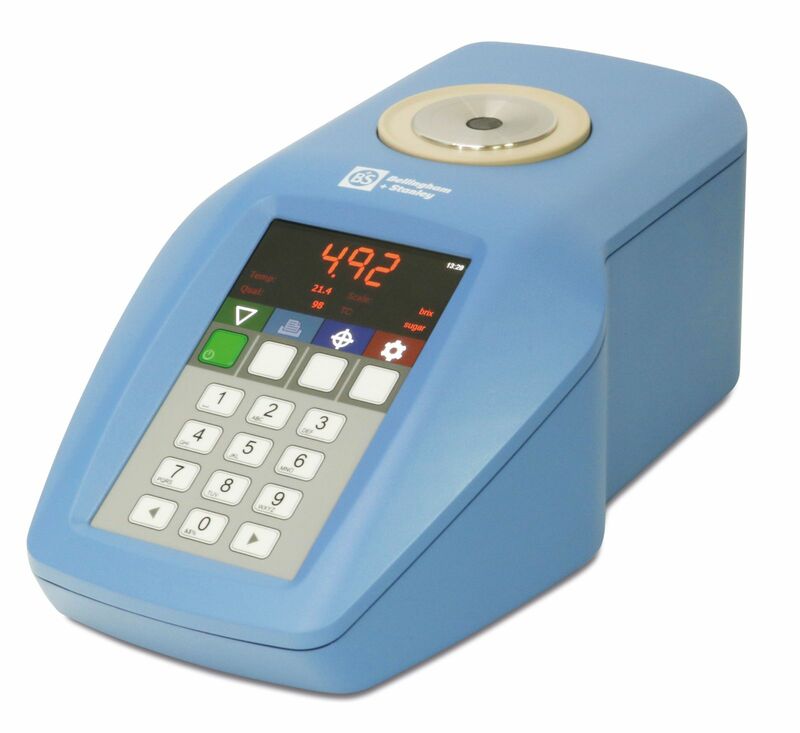 Product specific temperature compensation may also be input to the RFM700-M Series refractometers providing a corrected reading whatever the instrument temperature. 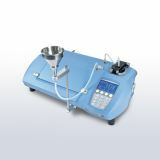 Many entry level bench refractometers that adopt temperature compensation do not allow calibration other than at the zero point with water, running the risk of errors at the top end of the scale. The RFM700-M facilitates Span calibration at any value using a variety of media types, as temperature compensation may be adjusted to suit the product being used. Additionally, the instruments are fitted with AG temperature compensation, allowing the use of AG Fluids without the need to use conversion table. Sample temperature stability is also important. The RFM700-M Series allows the input of a delay time that forces the operator to wait for countdown before reading, ensuring reliable results every time. 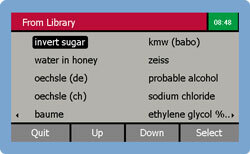 Date, time, batch & operator identifiers can be entered via the alphanumeric keypad or in the case of batch numbers, via a barcode reader connected to the instruments USB port. Over 8000 results can be saved for download. 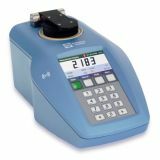 The instrument can also be connected to a printer or laboratory PC, with results being output in printed or CSV formats or as a Secure PDF. Another new feature for the RFM700-M Series is the instruments ability to sense a sample being placed on the prism so that it can make a measurement "hands-free." Push-button or continuous read functions are also selectable. 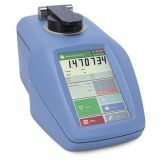 19-00 RFM712-M refractometer with latest integral 4" full colour display, robust switch membrane and USB connectivity. Supplied with instruction manual and certificate of conformity. 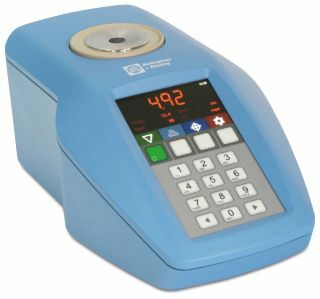 19-10 RFM732-M refractometer with latest integral 4" full colour display, robust switch membrane and USB connectivity. Supplied with instruction manual and certificate of conformity. 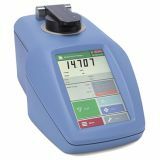 19-20 RFM742-M refractometer with latest integral 4" full colour display, robust switch membrane and USB connectivity. Supplied with instruction manual and certificate of conformity.